There is the Giant of the Tourmalet, the Henri Desgrange stone pillar on the Col du Galibier, the pointed white observatory on Mont Ventoux, but without a doubt one of the most beloved landmarks for visiting cyclists to France, is a tiny creperie on the crest of the Col de Peyresourde in the Pyrenees. 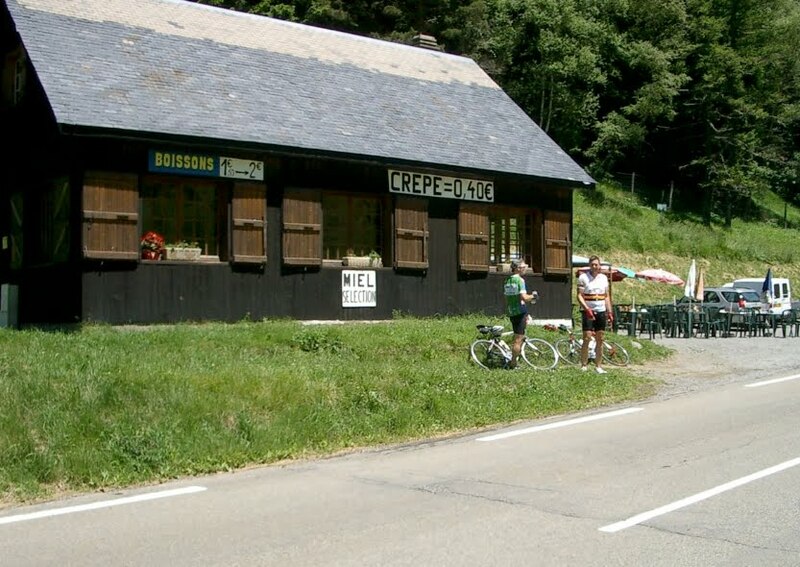 Why, because cyclists can linger at a table at this creperie and watch fellow cyclists come and go with a sense that they have not been the first, nor will they be the last. It's also a gem exactly because it is not. It's a shack. 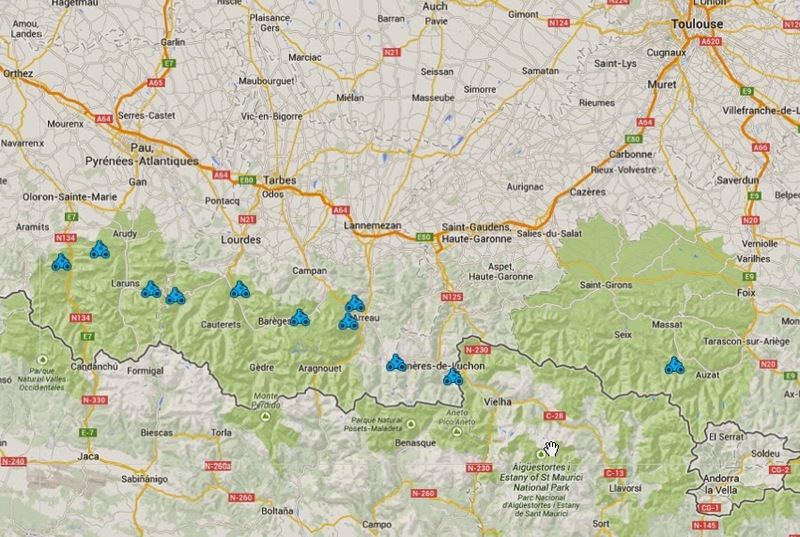 As I sit at home in the United States, I often think of that small brown wooden building on a grassy pass in France. I remember the characters who work inside, who take the time to ask where cyclists have traveled from. They ask knowing the answers will most often vary greatly, for this creperie is not located at a peak, but along a passage. 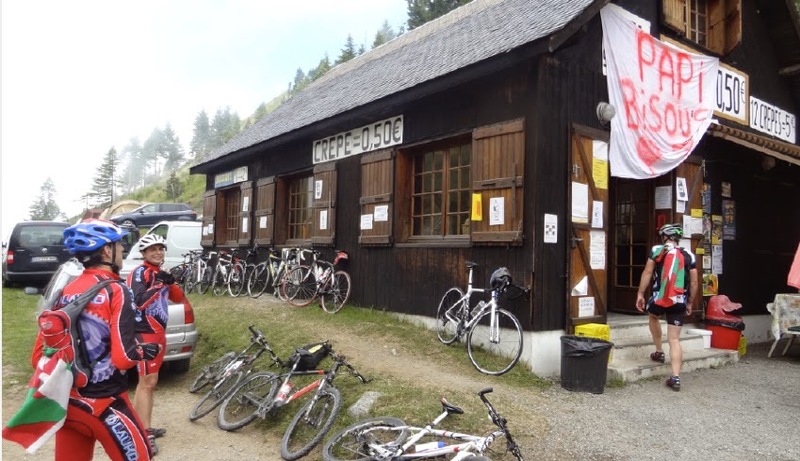 A passage that hosts cyclists from around the world often on their way to other magnificent mountain passes. It is a place to say "I have been there!" 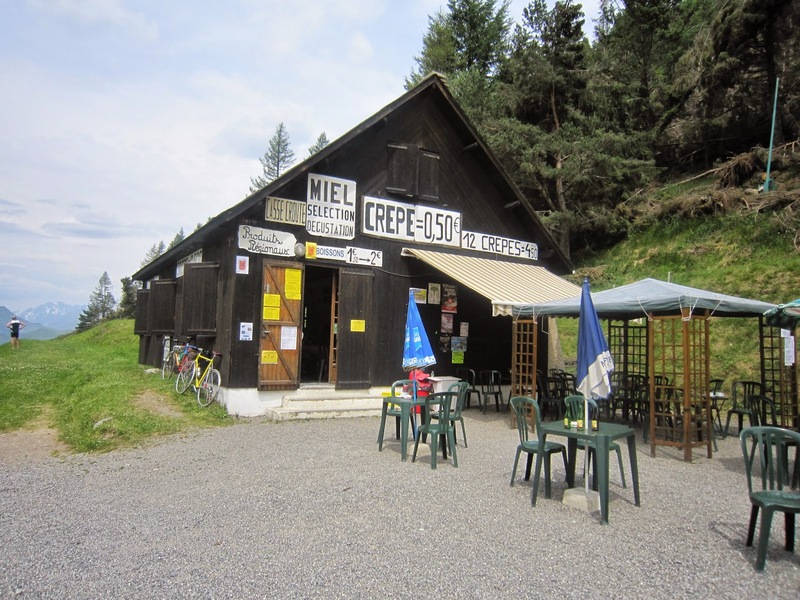 So when I read today, that this special creperie, on the Col de Peyresourde, had been damaged by a recent avalanche at the end of February, my heart sunk. Oh no! Not the creperie! 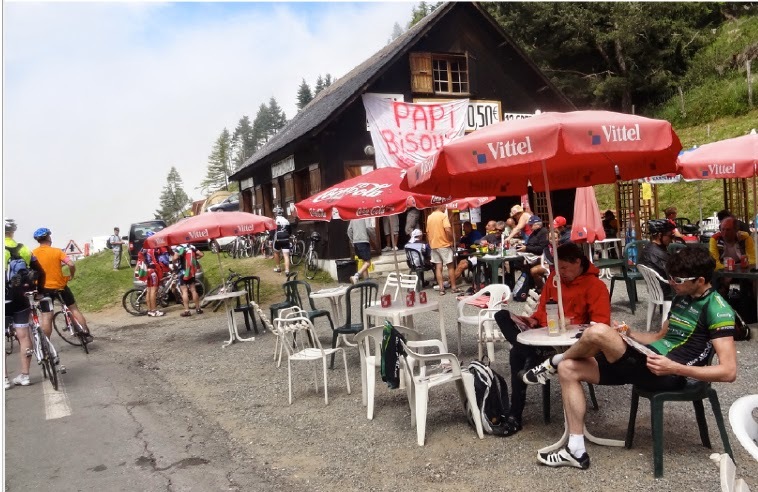 Read (and see the images): Café on Col de Peyresourde damaged, by Velo Peloton. I have cycled to the creperie three times and driven past it a few more. It is a fantastic place and I hope it is rebuilt in all its shack-like glory. I have stood next to this landmark with family, friends and by myself. It is a place I like to imagine still exists. This is what is feels like to camp out in advance of the Tour de France (this is a choice location). 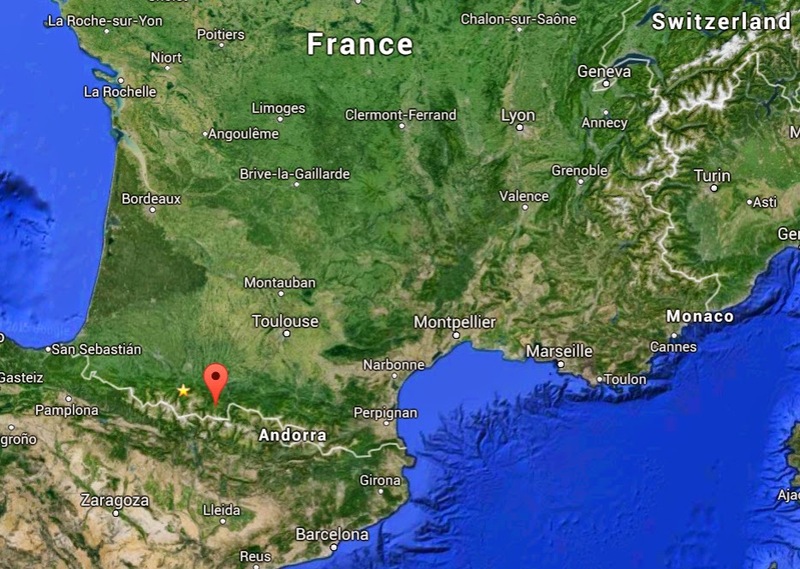 We rode up from Arreau on this day. 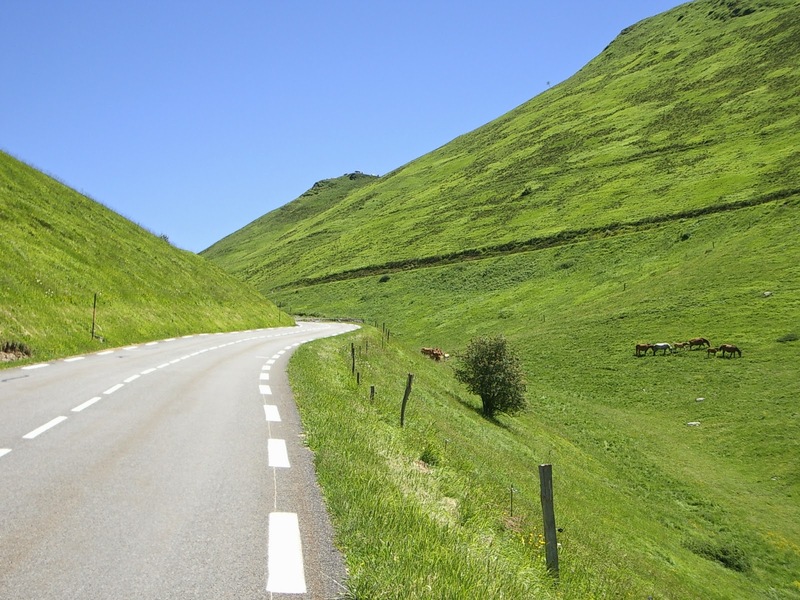 The simple beauty of cycling up the Col de Peyresourde on a non-Tour de France day in 2010 - pure peace and quiet. My first visit to the creperie in 2008 with my brother Mike, and friend Dash. My favorite climbs scattered across the Pyrenees are: Col de Agnes, Col du Portillon, Col de Peyresourde, Hourquette d'Ancizan, Col d'Aspin, Col du Tourmalet, Hatuacam, Col du Soulor, Col d'Aubisque, Col de Marie Blanque, Col d'Ichere.